Slated to accommodate approx 120,000 people in its many under-construction villas and towers, Dubai Marina is an artificial canal city being developed by the Dubai-based Emaar Properties with design inputs from HOK Canada, along a 3 km stretch of the Persian Gulf. Inspired by the Concord Pacific Place development in Vancouver, Canada, the project is situated on Interchange 5 in close proximity to Dubai Internet City, Dubai Media City, and the American University in Dubai. To develop the man-made marina, project developers have utilized the waters of the Persian Gulf to create a new waterfront. An extended central waterway runs the length of the 3 km site which also includes approx 8 km of landscaped walkways for the public. With the first phase of the project already complete, its promoters claim that Dubai Marina is likely to be the world’s largest man-made marina upon its completion – a record that is currently held by the Marina Del Rey in California (US). Other highlights of this mega project include Marina Walk, a 7 km pedestrian walkway with cafes and restaurants along the waterfront offering views of Palm Jumeirah and the Masjid Al Rahim, the only mosque here located at the southern tip of the project. The AED 1.2-bn Phase 1 of the project is spread across 25 acres and includes the Dubai Marina Towers – six freehold apartment buildings, Dubai Marina Towers. The first three towers - Al Mass, Fairooz, and Murjan - are named after precious stones, while the last three - Mesk, Anbar and Al Yass – feature the names of Arabic scents. Phase II of the project will include a cluster of high rise buildings aptly named – The Tallest Block in the World. Some of the main residential towers here include: Marina Pinnacle, Sulafa Tower, Ocean Heights and Infinity Towers standing tall at approx 350 metres. Others like 23 Marina, Princess Tower, Elite Residence, Marina 101, Marina 106 and Damac Heights are expected to touch a height of about 400 metres.. However the title of the tallest tower in the block is expected to go to Pentominium which is likely to rise to about 1,693 feet or approx 516 metres. A 1.7 km long waterfront community, Jumeriah Beach Residence (JBR) is situated alongside the Persian Gulf at Dubai Marina. Said to be the world’s largest single phase residential development, the project features 40 towers, which includes 35 residential and 5 hotels, a restaurant and a shopping strip. JBR can easily house approx 15,000 people across its many hotel rooms and 6, 917 apartments that range from 900 sq ft studio units to 5,500 penthouses. This AED 6-bn project was launched in 2002 by Dubai Properties (a subsidiary of Dubai Holdings) and completed in 2007. Developed and completed in 2007 by Dubai Properties, The Walk at JBR is a 1.7-kilometre strip at the ground and plaza level of the complex. It currently boasts of approx 330 occupants including restaurants, retail outlets, boutiques, department stores, cafes and gyms. 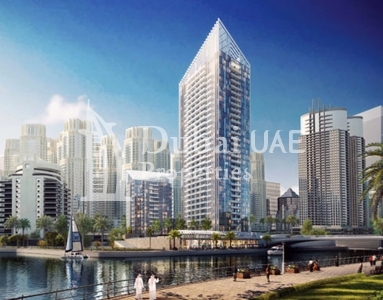 The Beach is a retail complex on the beachfront at the Jumeirah Beach Residence being developed by Meraas Holdings. It features four plazas occupying most of the beach between the Hilton and Sheraton hotels and approx seventy retail and F&B outlets in addition to other entertainment facilities. 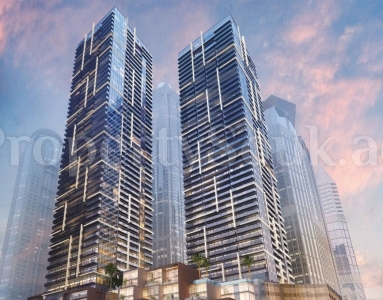 Al Sahab is a twin tower waterfront project by Emaar, overlooking the largest bay of water at Dubai Marina. 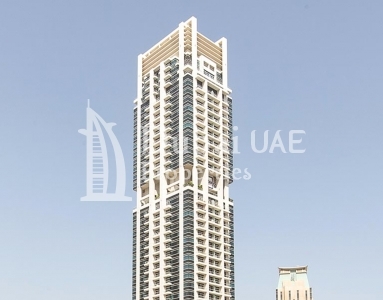 The project offers all residents upwards of Level Three, spectacular views of the Dubai Marina. 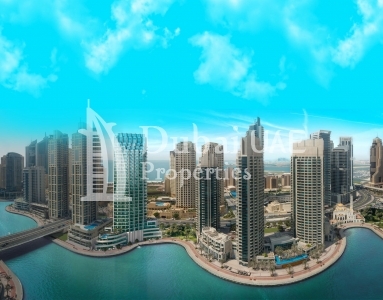 Said to be Dubai Marina’s most highly sought after residence, homes at Al Sahab are among the most expensive in Dubai. A five-building residential complex comprising high-rise waterfront apartments, Al Majara is located next to the Dubai Marina Yacht Club across the bay. Nestled in one of the most picturesque locations of Dubai Marina overlooking the widest part of the bay is the residential enclave of Marina Promenade. Located opposite the Yacht Club, the Promenade includes six residential towers and villas offering spectacular views of the bay. Offering a selection of plush apartments and spacious villas, Marina Quays is 20 meters long three-building residential development over the water on the waterfront. In addition to residential units within its buildings named Quay East, Quay West and Quay North, this project also features shops and other commercial outlets. A four tower residential project Park Island offers four residential towers - Blakely, Bonaire, Fairfield and Sanibel that have been developed alongside parks and landscaped gardens. Located right in the center of Dubai Marina is a shopping mall called Dubai Marina Mall, developed for the convenience of the residents and visitors to the project. Spread across 390,000 sq ft of leasable space, the mall hosts approx 140 retail outlets which include a supermarket, entertainment zone and a six-screen cinema, making it one of the largest in Dubai. The Dubai Marina project offers excellent connectivity to other parts of Dubai via the Dubai Metro’s Red Line service. It is also a rapid transit station on the Red Line as part of an extension to Ibn Battuta. 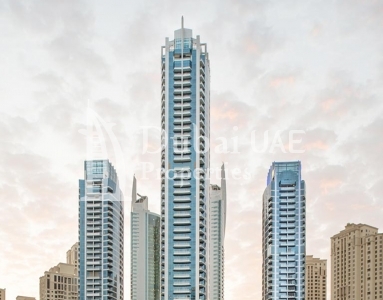 The Dubai Marina station is located near Interchange 5 of Sheikh Zayed Road about 20 kms from Downtown Dubai. 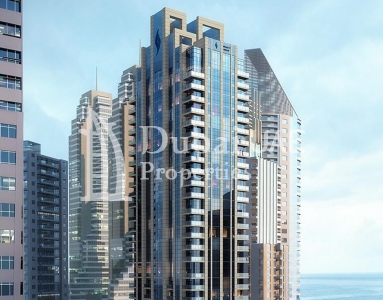 Being built at Al Sufouh, Dubai Marina, the Al Sufouh will cover a distance of 14.5 kms along Al Sufouh Road to Burj Al Arab and the Mall of the Emirates. Slated to interchange with three stations of Dubai Metro’s Red Line, the tram will connect with the monorail at the entrance to Palm Jumeirah. Liv Residences is a G+27 housing tower in Dubai Marina presenting studios, 1 Bed, 2 Bed, 3 bedroom apartments with starting area from 504 sq.ft To 1769 Sq.ft at affordable value. Project located at Dubai Marina, UAE.Location:Dubai Marina is a area in Dubai that is surrounded by an artificial canal.